This is the 2nd CD by US space rock super group with members of Quarkspace, Architectural Metaphor, Sun Machine, Hawkwind (Steve Taylor), Star Nation, and others.. They get together every now and then (this is from summer 2006 sessions) and do some jamming and afterwards put overdubs on and mix and here you have it. Really cool instrumental space rock… The CD begins with Liftoff and it has a very Hawkwindish (Angel of Death) feel to it and a lot of cool synths and guitar leads based on a pretty straightforward thumping bass line. All the Way to Outer Space is a track with really intense synths in the background of some great lead guitar playing by Steve Taylor. D-Walker is the longest track, almost 10 minutes and clearly a tribute to the late and great Doug Walker and it features 3 keyboard/synth players and bass and drums and trip Doug would have like to take.. Tranquillity Base features Greg (Arc Met) on lead guitar with bass and synths and some programmed drums. Beautiful guitar soloing.. Venture 91-200 is another tour de force with 4 synth players and a full band (guitar,bass,drums). It begins very spaced out but starts to take off around 3 minutes with Steve Taylor playing some great guitar. Untitled Dream is a 3 minute all synth piece with Paul from Quarkspace joining in. Disintegrator fades in from a jam in progress and has a bit of dark vibe to it and quite a different sound production from the piece so far on the CD (Different session???) and features Greg on lead guitar with some great delay guitar acrobatics. That is probably my favourite track on the CD! Integrator again features Greg on main guitar but he is joined by David Hess on Glissando guitar and some spaced out synths from Steve Hayes and Jay Swanson on piano (as the prominent soloist). A really cool groove on this spacey jam. Reflections features Greg on electric sitar and is an interesting spacey jam with a really intense bass mix (Billy is like playing lead). The Death of Time features a lot of players with three synth and 3 guitar players in this space jam with once again a Hawkwind flavour. . The CD ends with Night Sky. 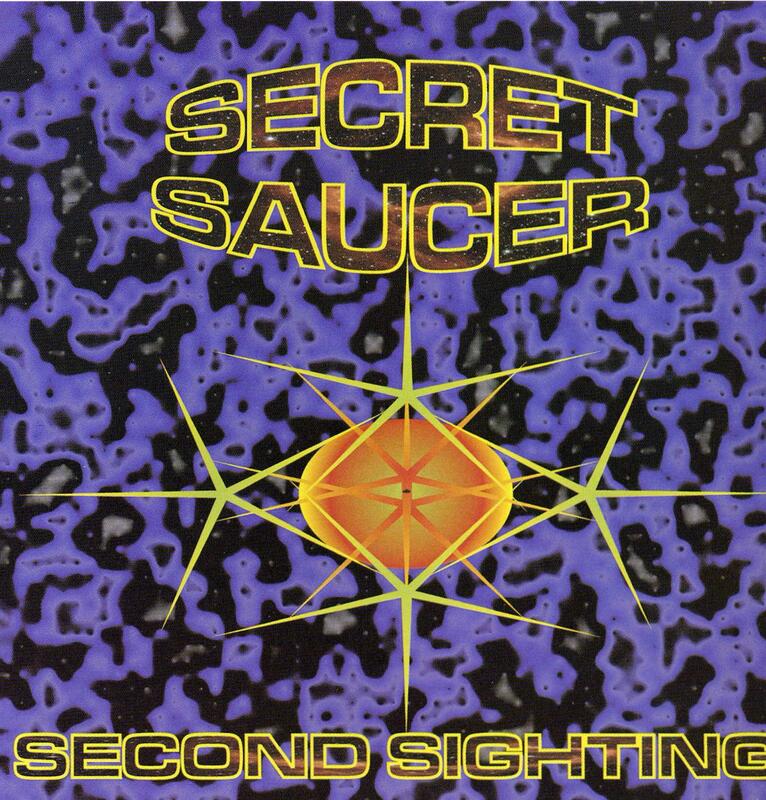 I am guessing we had many hours more of cool stuff to hear from the Secret Saucer… keep an eye out space rock fans.